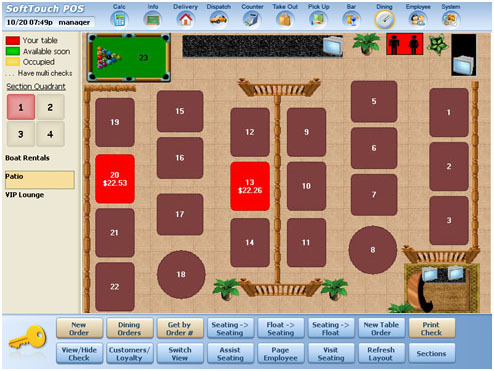 Customized floor plan for simplified table management. Floor plan configuration settings by terminal. Facility status updates at a glance. Quick order entry and modification. Track customer accounts not bound to specific location in restaurant "floating" customers.